Do you ever want to go to the drugstore and fill your basket with new makeup to try out a whole new look? That’s something I could never do at a high-end makeup counter, but sometimes it’s fun to take maybe $25 of fun money to buy drugstore colors I’d NEVER even think to purchase from a department store line — you know, just to play. It’s like what I used to do when I first started wearing makeup (at home only, I promise mom!) as a young teenager. 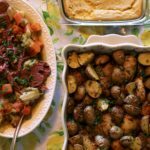 That’s kind of like what I did with these Almay products a couple weekends ago — have frivolous fun and experiment — and I found some things that definitely deserve more attention than they get in the blogosphere! 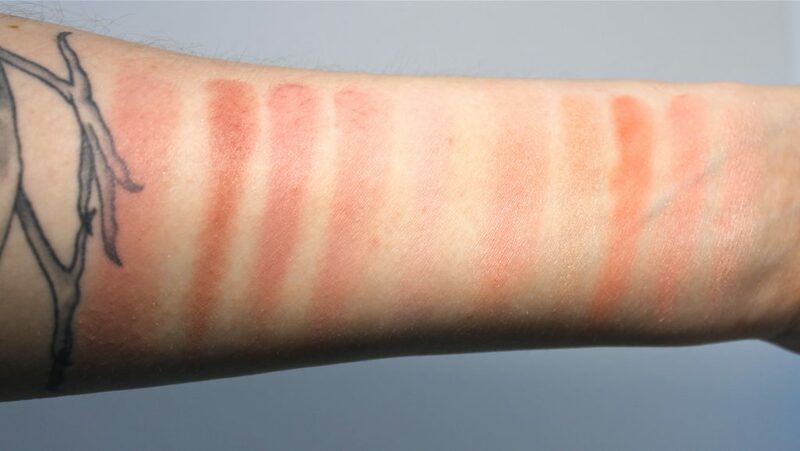 For starters, I can’t believe I’ve never noticed Almay’s Smart Shade Blushes (about $12). 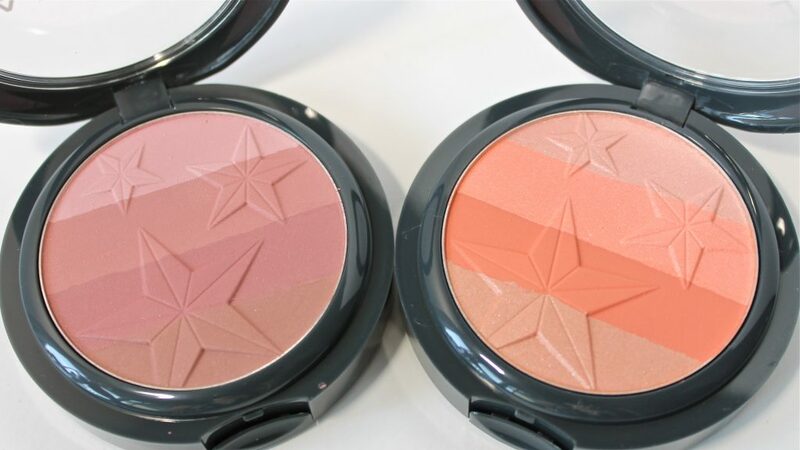 The stars sculpted into the powder are all-American (the brand’s slogan is “the American look”) but also classic Sailor Jerry style nautical stars…so you know that this tattooed makeup lover is all about the way these look. 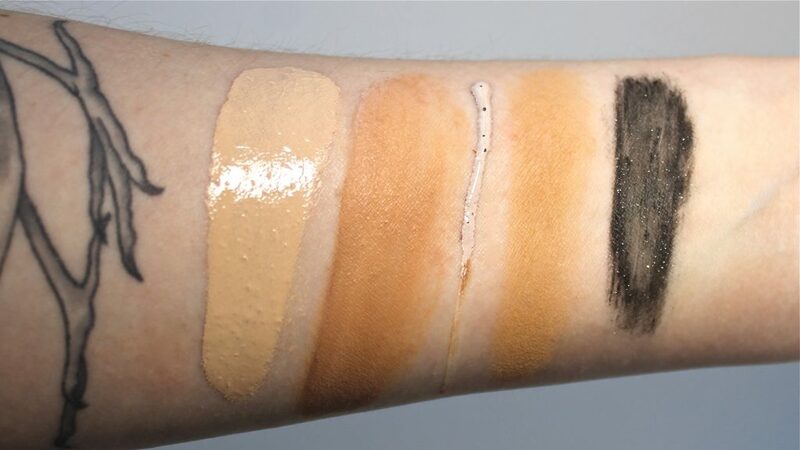 With these pans, like with regular ombré blushes, you can vary the depth of the shade you want for your cheeks, and the pans also have a shimmery strip that you can glide your brush over when you want to. I love the look of Coral blended out on the apples of my cheeks with a pop of the lightest shimmering peachy pink on the tops of my cheekbones. 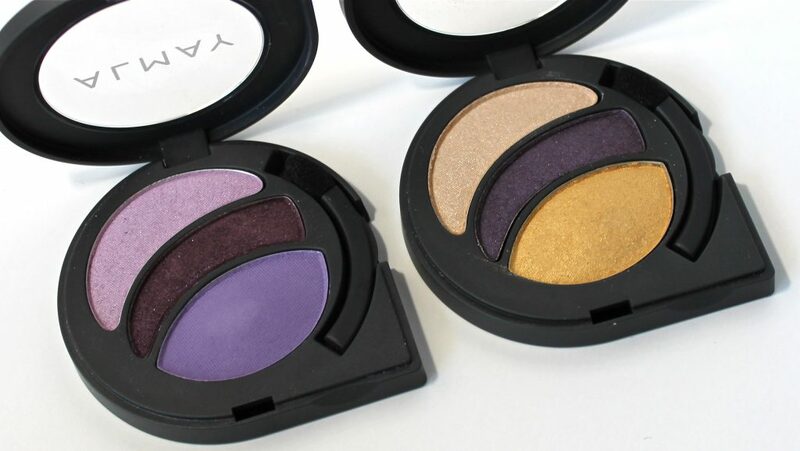 Tailored to suit different eye colors (but please remember, ladies, that makeup rules were meant to be broken), Almay’s Intense I-Color Party Brights Trios (about $8.50) are stunning! 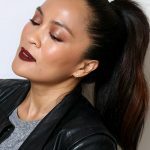 The 125 Trio for Browns has an unexpected trio of complementary purples ranging from a shimmering lavender to a deep plum and a true matte periwinkle. Even though I don’t follow the “green for greens” rule indicated on the packaging, I’ve been reaching for the 140 Trio for Greens the most often. It has a champagne, a deep plum and a true gold that are definitely not a combination of shadows I would have anticipated working together in perfect harmony blended on my lids (but they do!). 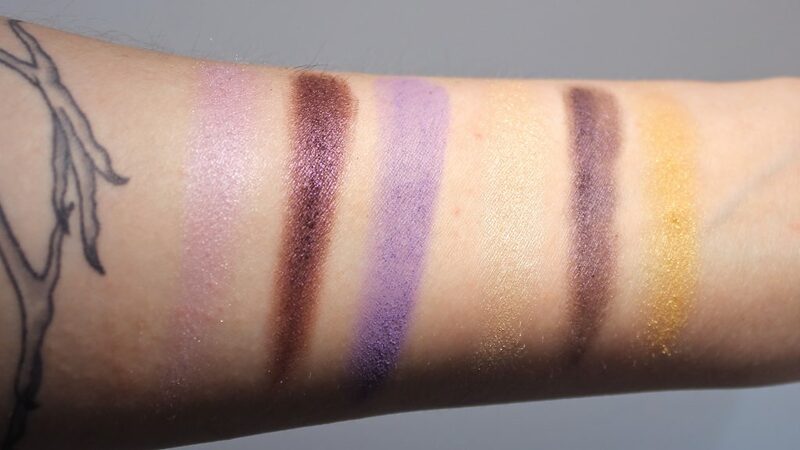 I think a smoked-out hint of the middle deep plum shade also really makes my peepers pop. 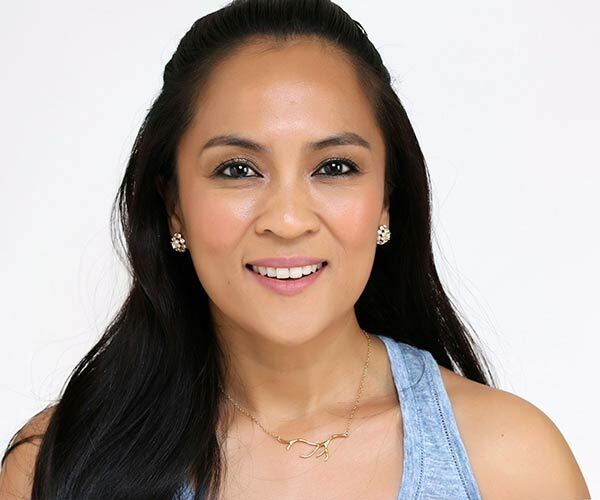 Although I don’t really struggle with acne, I still like to use some makeup with skin care benefits, like when it comes to foundation, I’m always looking for something moisturizing that wont enhance dry spots and eczema. 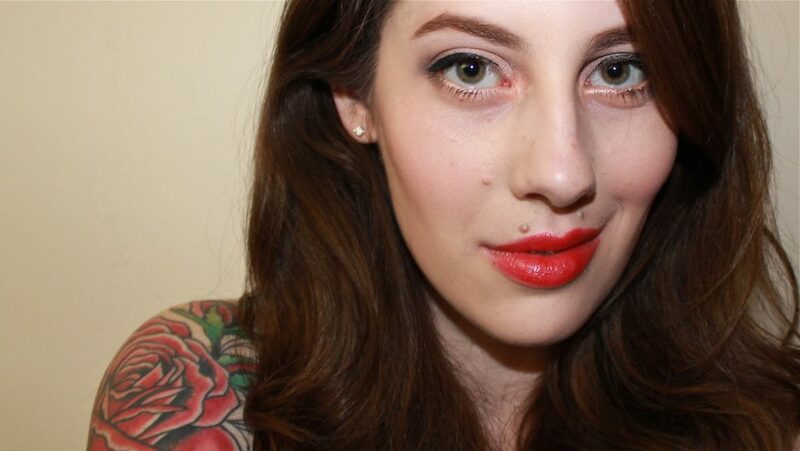 Almay’s Clear Complexion Makeup with “Blemish Heal” tech applies and blends like a dream. 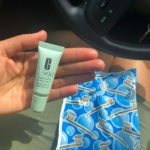 I can’t speak for its blemish healing properties, but I like the concept. And even though the one I tried isn’t perfect for my pale skin tone, Almay’s Smart Shade Concealer Corrector is cool. So many products claim to adjust to suit your skin tone, but this one actually changes right before your eyes. 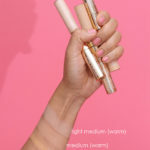 When dispensing it from the tube, it comes out as a chalky white with deep brown speckles of pigment that develop and change color while blending. It’s a sight to behold! — even for a gal who thinks she’s seen it all. And if you’re going to spend an afternoon just playing makeup, you need a trusty makeup remover by your side. 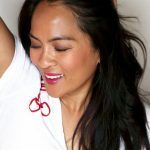 Back when I first started wearing makeup, I remember using something like Almay’s oil-based classic because it attacked even the most stubborn and waterproof products, so for someone who was converted to micellar waters and lait demaquillant for years after spending some time living in France, I feel like I’m returning to my roots. And when all is said and done? 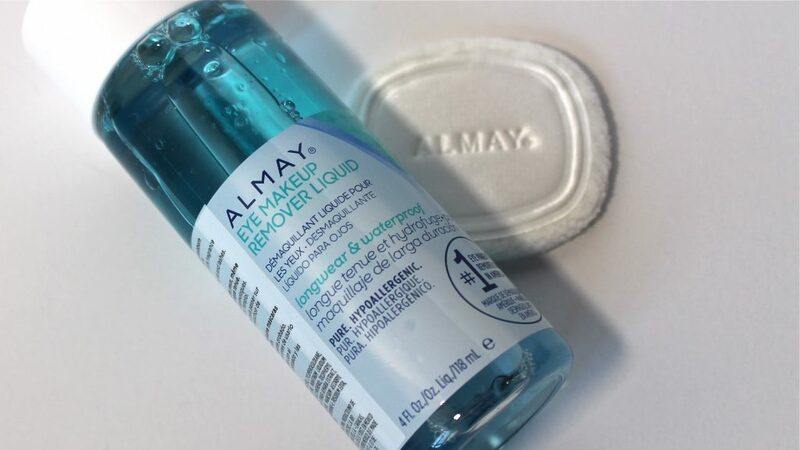 I can easily remove my makeup with Almay Eye Makeup Remover Liquid! Myy seven-year-old thinks the trendy I-Color Party Brights shadows have her name written all over them (not! 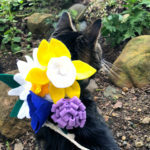 ), but she can’t have them. 🙂 These won’t be leaving my makeup collection anytime soon. It’s so much fun to play with makeup with reckless abandon sometimes, isn’t it? Especially without worrying about adhering to “standby shades” or “rules.” It’s like coloring outside the lines! Do you have a favorite Almay product? How familiar are you with the brand? 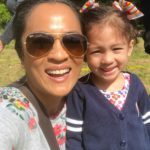 Jessica is a Project Manager by day and a mommy, wife, avid reader and makeup lover in the in between times that really count. 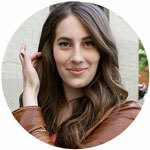 You may remember her from her former beauty blog, Getting Cheeky. 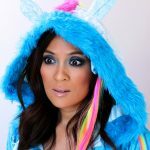 Jessica is stepping out of beauty blogging “retirement” as a creative outlet and is eager to write about makeup, once again bringing her signature cultural, literary and historical twist to the table. 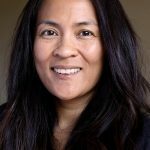 See what she’s been up to these days, with and without makeup, on Instagram. Next Post: Have a Peek Inside My Handbag! The star blush is borderline tacky to me but I love Almay color makeup. 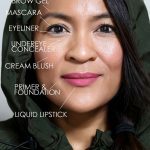 I want to give the concealer a try. The blushes are pretty. Love the embossed star design! That gold and plum trio looks gorgeous. I love the smart shade lip butters and I broke the recommended for skin tone lines for variety. If you get a chance and like liquid lip balms, try theirs. They are moisturizing and not sticky and rather sheer(on me anyway) but since you are fair they may show up more. Can I ask why you bought the medium concealer since you are fair? Just today whilst strolling through Targhez (full disclosure: actually booking through to pick up food for my son bc forgot to pack his lunch and it’s the closest store to school), I picked up a Sonia Kashuk matte lip crayon in coral… Just bc it was well under $10 and Marcella gave them a good review! It’s quite nice. I have yet to splurge on a full face this way. But those shadows do look great. Very pretty! How’s the fallout? That always concerns me with drugstore shadows. I have never really heard about Almay, but if they claim the “all American look ” I would take a wild guess and think we don’t get them in Europe. Awww, so pretty with the stars! Coral really looks oh so lovely. I have a tendency to never consider Almay because they don’t tend to cater to a range of skin tones. That purple trio looks pretty nice though! 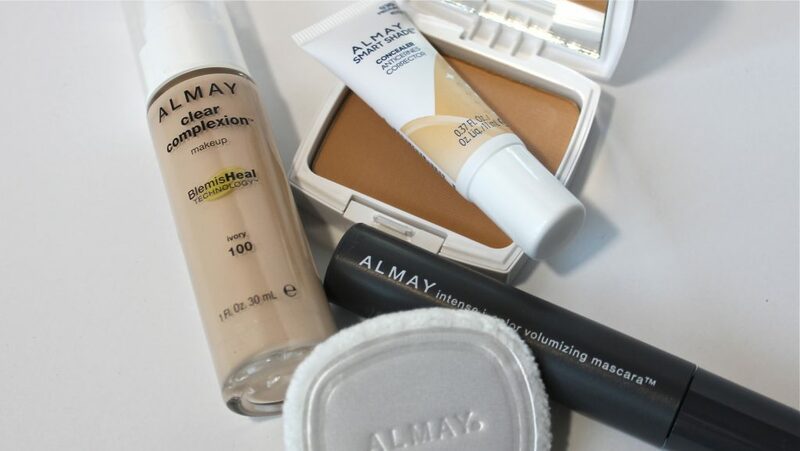 Almay is a brand I think is usually geared towards lighter skin tones. They forgot that Americans are multiethnic. So I don’t have any of their products.The lipstick you’re wearing looks pretty!